Welcome to Pick Me Car Keys Adelaide help page for Volkswagen Car Key Replacement. We have put together some information to try and help you if you have lost your Volkswagen keys or if you require a spare key cut for your Volkswagen. 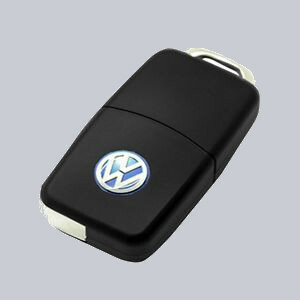 We can provide replacement keys for Volkswagen Polo, Golf, Beetle, Passat, Jetta, Tiguan and most Volkswagen models. Pick Me Car Locksmith Adelaide are fully mobile and equipped to cut and program car keys and remotes on site saving you time and money. Volkswagen keys and remotes are among the hardest to reproduce. This is because the Germans developed the “transponder” system from the beginning and today they have component security or “CS” which protects the vital parts of every Volkswagen with sophisticated coding. Most models require pin codes to make spare or new keys and from 2007 the models with “CS” require complex calculations to produce a chip that will start the vehicle. The process of making keys to a late model Volkswagen can only be performed by the dealer at great cost or an experienced automotive locksmith. Pick Me Car Locksmith Adelaide have a fully equipped mobile workshop with the latest computerised key cutting and programming equipment on board. We are automotive locksmiths and we specialise in Volkswagen keys and remotes. CLICK HERE TO GET A VW CAR KEY REPLACEMENT QUOTE NOW !